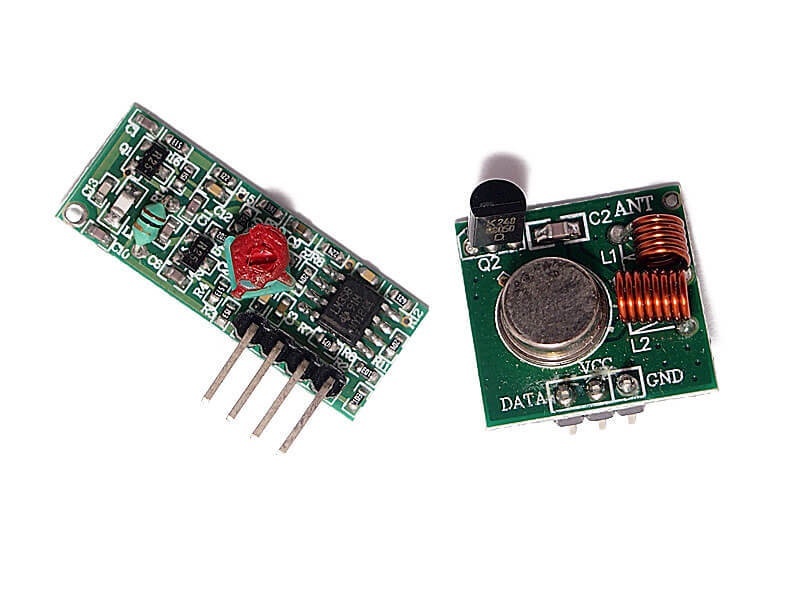 This is a 433MHz wireless RF Transmit / Receive Module. Typical range for this wireless module is about ~10m. To improve the wireless reception, connect a 17cm 1/4 wavelength antenna, typically 50Ω single conductor. The antenna position plays an important role in the reception. The antenna should be as straight as possible and away from any shield, high pressure and interference source.